When should you replace your Brakes? Do you know what signs indicate that your brakes need to be changed? Regular all over vehicle maintenance will eliminate costly repairs and grief down the line. 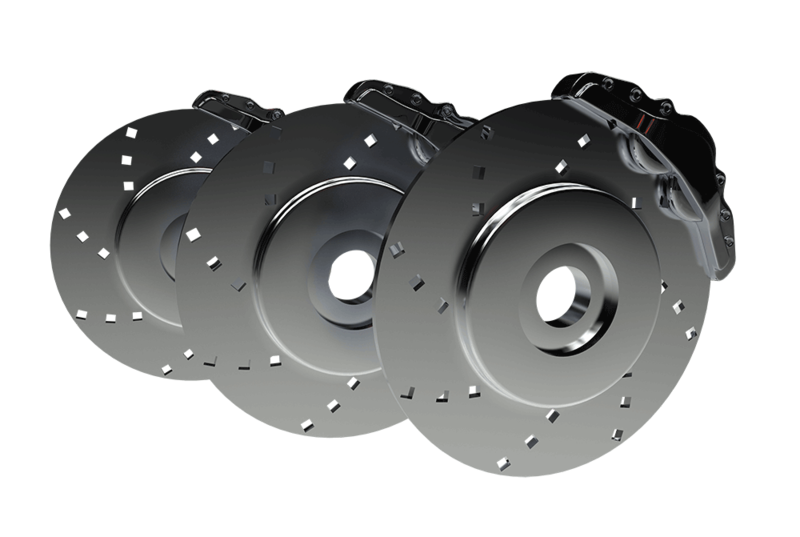 Your brakes should be an integral part of that maintenance. Many vehicles now have alerts built into the electrical system to signal when something goes wrong or requires your attention. With or without an electrical warning system, it’s handy to be able to recognize the signs of trouble so that you know when you should get the car into the shop. If you’re on top of having regular maintenance done, you’re less likely to be caught with a big surprise repair bill, not to mention the hassle of getting to work without your own wheels while it’s down. As the authority in North Vancouver for brake repair, here are some signs that suggest you need to make that call to your mechanic. Have a look– The first way to check for brake wear is to simply look at them. You should be able to see your brake pads if you look between the spokes on your wheel. Typically, 4mm of brake pad is recommended, so if you think they’re thinner than that, it’s time to get them checked and possibly replaced. This is the easiest way to keep on top of your brake pad condition and requires no tools or training to carry out. If your car wasn’t made to accommodate a peek through the spokes, you can remove the tire to get a look at the pads. High pitched squeal– If you’ve heard a high pitched squealing sound from underneath the vehicle, it could just be a little rust burning off the rotors, but if it’s consistent, this is another sign that your brake pads are worn and should be professionally inspected. Make sure to keep those tunes at a volume that won’t drown out important signals from your vehicle’s undercarriage! Unfortunately, if you’ve ignored the warning signs and hear a growling or grinding sound, you may have worn the brake pads beyond replacement and may even possibly need to have your rotors turned (which is a process that evens out the surface of the rotors again) or replaced. To avoid a heftier repair bill, don’t ignore those first screeching sounds! It’s better to be safe than sorry! Pulling or Jerking to one side– If you feel a “pulling” or jerking motion towards one side or the other while you’re driving, it could be a sign that your brakes are in need of a check. It’s possible that your brake linings aren’t wearing evenly from a Brake Pad sticking, a Brake Caliper dragging or even brake hose collapsed. A pulling motion is a good indicator of one of these conditions. Leaks– Wetness on the inside of a wheel or a puddle under the vehicle could signify that your brake fluid is leaking and that the hose will need repair. One way to help determine if this is the case is to lay a sheet of cardboard under the car overnight and check it in the morning. If you see a puddle of nearly clear fluid (it should have the consistency of cooking oil) then brake fluid is a likely candidate. Check your brake fluid level in your engine bay, it is time for a service or repair if the brake fluid level is close to or below the min level line. A Soft Brake Pedal– You could also have a leak in the system or a failing brake master cylinder if your pedal sinks to the floor or you’re finding the brakes just aren’t as responsive as they used to be. High sensitivity- You might be having the opposite issue with overly sensitive brakes, bringing your vehicle to a decidedly rough stop with only a gentle touch. This could be a brake booster issue, a portioning valve, the brake master yet again or a brake rotor fault. Pulsation or vibration– If you feel a pulsing or vibrating when braking under normal conditions, you may have a problem with warped rotors. When their uneven surface hugs against the brake pad, it results in a vibrating or pulse since it’s not creating a consistent squeeze. If you’re looking to get your brakes checked or replaced, leave your vehicle in our capable hands. For a limited time, one of our mechanics will replace your oil and filter and do a courtesy inspection with every brake replacement. See our promotions page to learn more about this awesome awesome deals! Don’t let your vehicle maintenance get away on you, leading to costly repairs and time away from the important things in your day to day. Let us do the heavy work and get you back on the road quickly, safe and sound! How do car clutches work? These guys are the best. Peter and Ryan are very professional, honest and accommodating. I took my car to them for inspection before I bought it and never went to another mechanic after that. They always seem to get me a loaner car when needed and give my car back sparkling clean and mechanically sound. Highly recommend Derosa automotive for all your mechanical needs. Happy to share more great experiences from that shop. Keep it up guys! I have been using DeRosa Automotive for several years and have always been very satisfied with their work. They are always happy to offer advice, and have even helped fix the jobs I've done wrong as an amateur mechanic. As someone who is more than prepared to shop around for the best price I'm always happy to recommend DeRosa to my friends and colleagues. I can’t recommend these guys enough! I’ve taken my 15 yr old van to them for the past 3 or 4 years. They know it doesn’t make sense to spend a lot on this van yet Toyota makes a good product and it’s still in decent shape. They have helped me decide when to spend the money and when not. They are less expensive than where I took my van previously, give better service and I find it often comes with extras gratis. My husband will be shifting from the dealership to Derosa with his new Toyota Forerunner. They have certainly earned our loyalty. Great customer service, professional workmanship and reasonable price. When it comes issue they fix it right away Highly recommend local mechanic shop. Great service, friendly, always knowledgeable and honest. Would recommend DeRosa to anyone! I’ve been taking my car to Derosa for two years now and I’ve been very happy with the service. I’m rather clueless about cars and car maintenance, but Peter and Ryan never make me feel stupid. They’re very good at explaining the work that needs to be done and I never feel pressured to get unnecessary work done. I trust them completely. I've been taking my vehicle to DeRosa for a few years now. Highly recommend this business. Excellent, communicative and knowledgeable staff. They've done a great job maintaining my vehicle and keep me informed as to the service requirements and service schedule. I always appreciate the extra lengths they go to like changing over my winter tires/wheels and cleaning the car inside and out for no additional charge. Excellent work DeRosa! Cheers! I highly recommend Derosa Automotive for all your auto services! Ryan and his team are amazing.